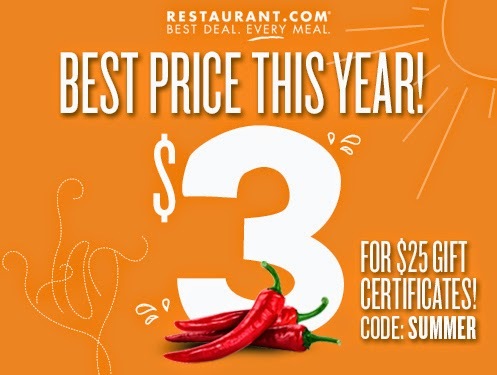 Today only (6/20/14) you can buy a $25 Restaurant.com certificate for only $3! No matter what type of food you're craving, Restaurant.com has a place that meets your needs. This deal is only good today so head on over and use the discount code SUMMER to get this great deal! Disclaimer - I received a gift card to Restaurant.com in exchange for this review.